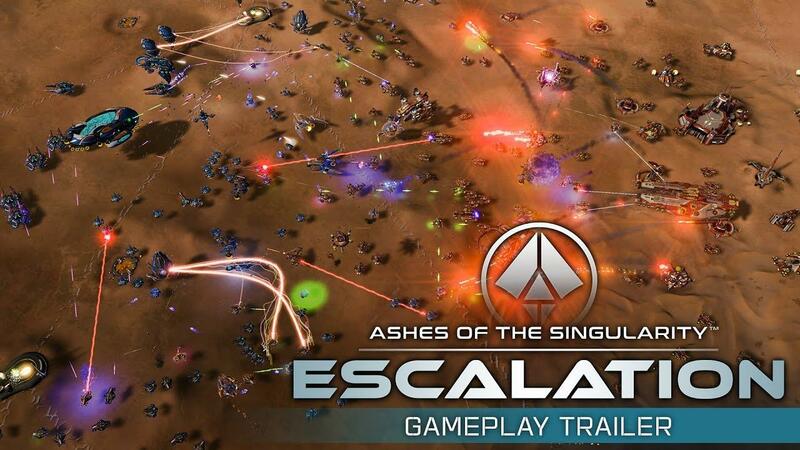 Ashes of the Singularity: Escalation [GOG][Steam][Official Site] will come to Linux if Stardock see enough requests for it. The CEO of Stardock has requested to see how much interest there is. Quote With the Vulkan work coming to an end, we are considering the port to Linux. If you are interested in a Linux version, please sign here. It already has 10 pages of replies. So if you're interested and would actually buy a copy if it gets a Linux release, head to the Steam topic to give your support. As a massive fan of strategy titles like this, it has my full support. Hopefully Stardock are smart enough to not do it just for the money, the game itself would be more alive with a few thousand+ extra players for the online play. We all know these types of real time strategy games aren't as popular as they once were, if they want the game to stay alive, they need the extra players. we need this game on linux! Thanks for this info! Signed. Signed. I'm not sure if this is my type of game or not, but it would still be nice for it to come to Linux. I've been hoping to see this one get a port since they were using vulkan instead of dx12. will be an instant buy once we get a beta build. I would definitely buy this game for Linux, there aren't enough RTS games like this any more. I'm a fan of real time strategy games. And a Linux fan. Of course I will sing to get one of the few strategy games on linux.